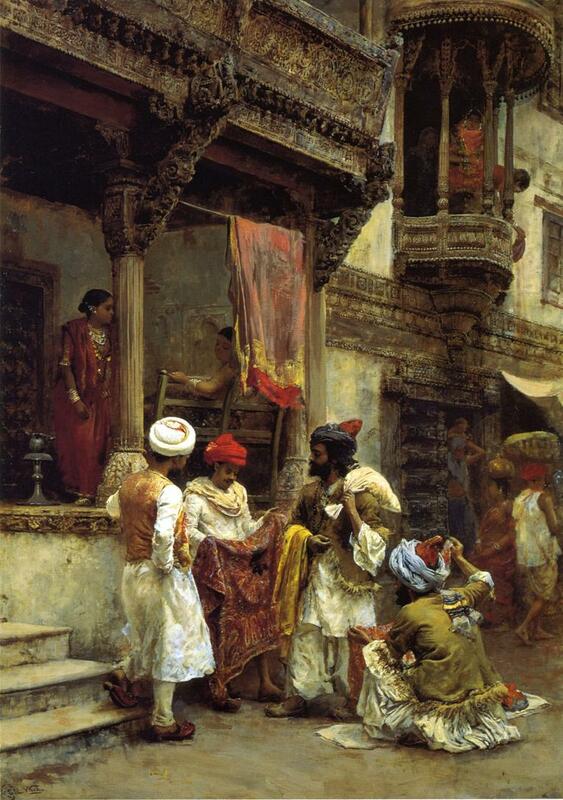 Edwin Lord Weeks was an American artist. He was born in Boston, Massachusetts 1849 and was a pupil of Léon Bonnat and of Jean-Léon Gérôme, at Paris. 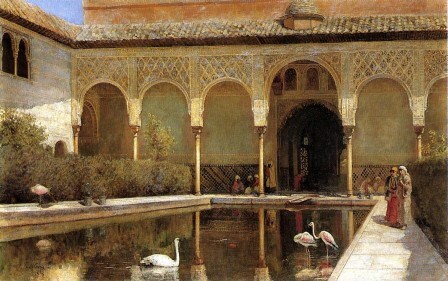 Lord Weeks made many voyages to the East, and was distinguished as a painter of oriental scenes. Weeks’ parents were affluent spice and tea merchants from Newton, a suburb of Boston and as such they were able to accept, probably encourage, and certainly finance their son’s youthful interest in painting and travelling. In 1895, he wrote and illustrated a book of travels, From the Black Sea through Persia and India, and two years later he published Episodes of Mountaineering. He died in November 1903. He was a member of the Légion d’honneur, France, an officer of the Order of St. Michael, Germany, and a member of the Secession, Munich. He died in 1903.